A location is a physical venue where iPads are based. For example "Los Angeles" or "New York" Offices would be 'Locations', with each location having it's own employee list defining the employees at each physical location. Each 'Location' is also designated a time zone that SwipedOn use as the reference time for Movement Records, Reporting and Auto Logout Features. Adding more than one Location is certainly possible, but only on our Enterprise Plan, please click here to find out more. An iPad is the actual iPad used for signing in and out from, one or more iPads may be assigned to a Location. If you do not require multiple locations, but would like more than one entry an/or exit point within your 1 location plan, this can be achieved when subscribed to the Business plan. 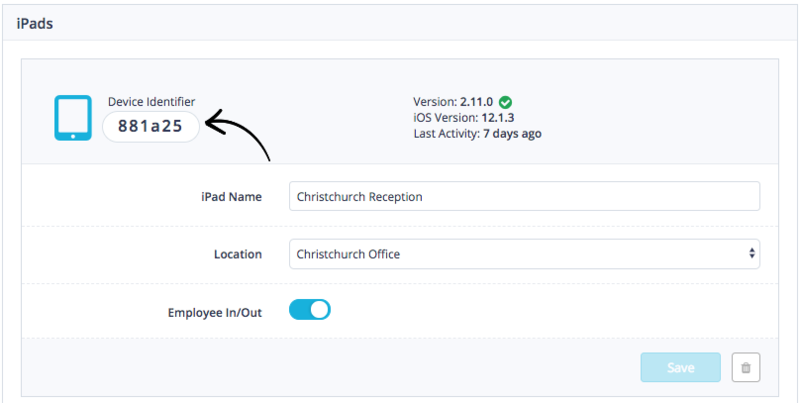 This will give you the ability to add as many iPads as you would like to your account and place them around the site for visitors and/or employees to use when entering and exiting the premises. *Please note, employees are currently only able to be registered at one location but can roam between locations using the 'roaming employee' feature.